There are many facilities and many difficulties in Blogger. Adding labels with pages was not easy in old Blogger interface. But we can do many things on new blogger interface. 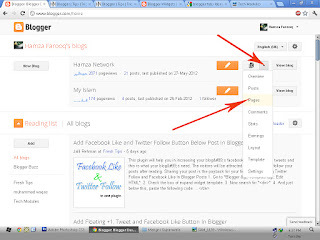 We can change our old blogger interface by clicking on new blogger interface. There are many templates which provide many facilities for labels and pages but lot of blogger templates don,t provide this type of easiness. 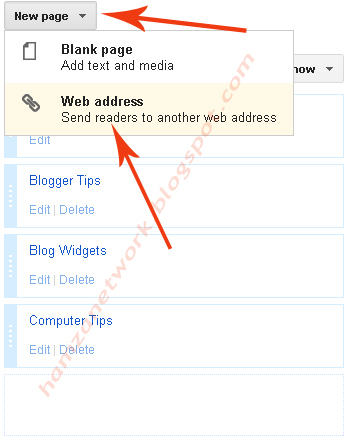 Today you will know that how to add pages with labels in top menu on blogger. 1. 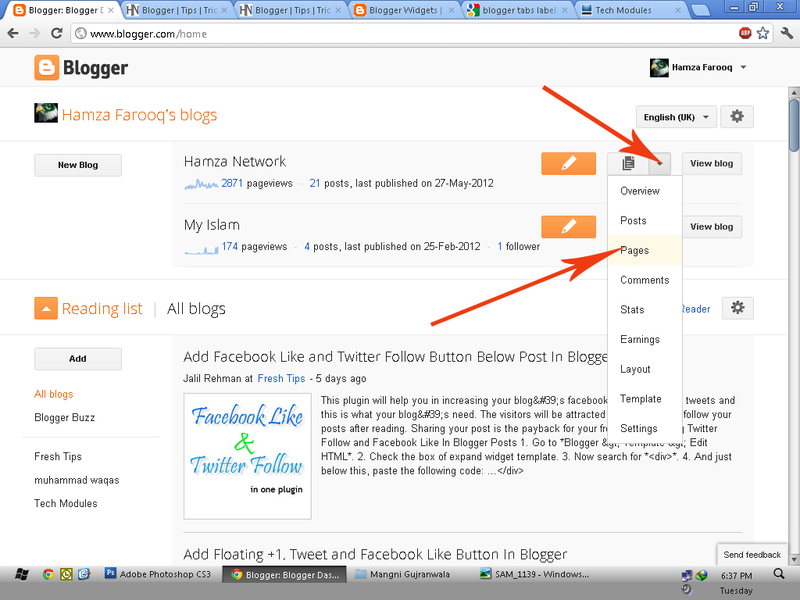 Login to your blogger account >> Go to Dashboard >> Click on More Options and select Pages. 2. Click on New Page and then Web Address. 3. Now Type your label title and then paste your label link and click on save. You can see that your label has added with your pages and your label is working with your blog pages. can you do this and add multiple links to your tab? You can add multiple links in Tabs, not in one Tab. How do I find my label link? Thank you for this helpful post bro! How to change new template interface from old one.